This I believe: Birds make life better | Dallas ZooHoo! Dean of Dallas Zoo’s Wild Earth Academy, Ben Jones, guest blogs on ZooHoo! 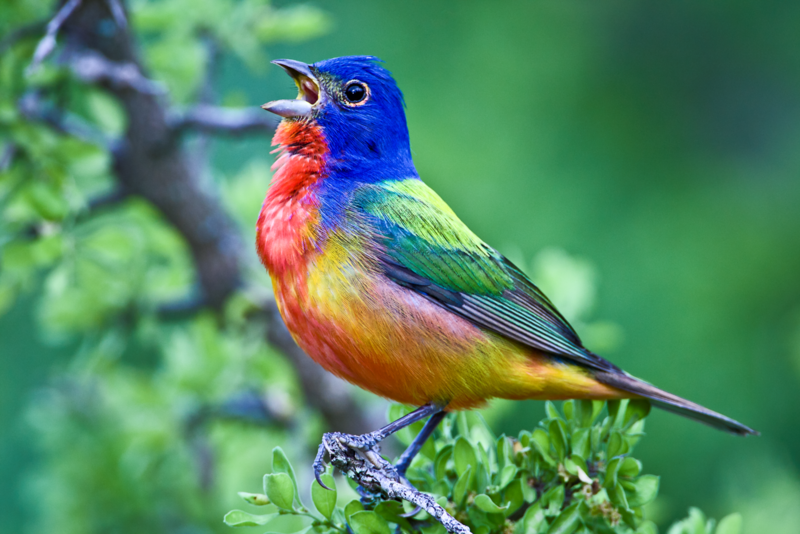 A singing painted bunting photographed by Sean Fitzgerald, Dallas-based photographer and president of the North American Nature Photography Association. I’m not a manic birder – no life list, no spotting scope, no yard full of bird feeders. What I am, is a believer in birds. Soon, I was back in the routine of city life – highways, parking lots, Starbucks – but something wasn’t so routine. I thought about that bird in Mexico and paid more attention to birds around me. That was the start of it all – a life of more beauty, more curiosity, and a deeper connection to nature. 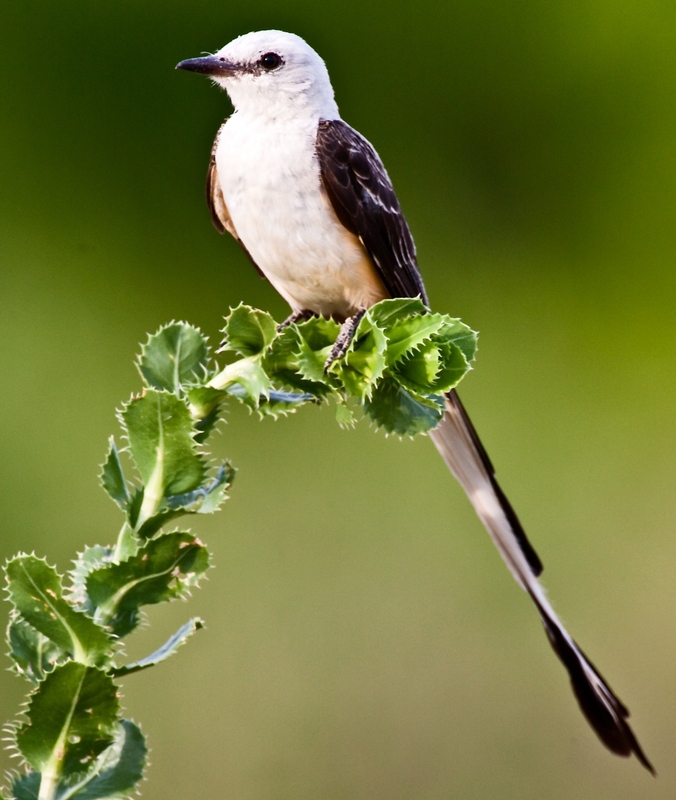 Scissor-tailed flycatcher by Sean Fitzgerald. Birds are beautiful. Their shapes, colors and sounds are among the most pleasing in nature. Mockingbird and cardinal songs, even pigeon coos, soften city clamor. My heart slows watching gulls above White Rock Lake, their wings moving in hypnotic rhythm. Huge white pelicans fish together. As if on cue, they circle-up and scoop their beaks beneath the water in perfect sync. Out over the waving grass, I glimpse scissor-tailed flycatchers dancing in blurs of pink and yellow above the prairie, long tails swirling behind. Ever spot a red-tailed hawk perched above traffic? I watched one fly at sunset, its wings pulling it deep into the pink sky. Near Skillman Street, I snuck up on wood ducks floating side-by-side in a shadowy ditch. Radiant red bills and eyes, deep blues and greens, features outlined in bright chalky white – they must be our most beautiful ducks. Swimming wood duck photographed by Sean Fitzgerald. I’ve watched the painted bunting here, too. The bird looks as if it’s just flown through a wet rainbow. Beauty runs in the family; its cousin, the indigo bunting, sports the most brilliant blue I’ve ever seen. Like good art, birds offer beauty and spark curiosity; they make me think, “Why? How? What was that? Mourning dove, white-winged, Inca? Maybe rock pigeon …nope, too small.” My first landmark ornithological discovery – all small birds are not sparrows. Chickadees, titmice, kinglets and wrens – true identities revealed at last. Sometimes I think I make new discoveries. When I saw flickers hunting insects on the ground, I thought, “Flickers don’t feed on the ground!” Later, I read, sure enough they do, in early spring. Ok, so no new discovery for science, but a new discovery for me, and discovery is discovery. Birds make me a better observer. I look more closely now at all nature. Thanks to birds, I now know moon phases, Trinity River levels, day length, and what’s in bloom. Birds connect me to the rhythm of the natural world. Flocks of cedar waxwings announce winter in a way no calendar can. The calendar designates autumn’s arrival, but I wait for goldfinch and junco to confirm it. Purple martin scouts arrive, chirping from the telephone wire, their oily feathers shining in the sun – spring is here, again. 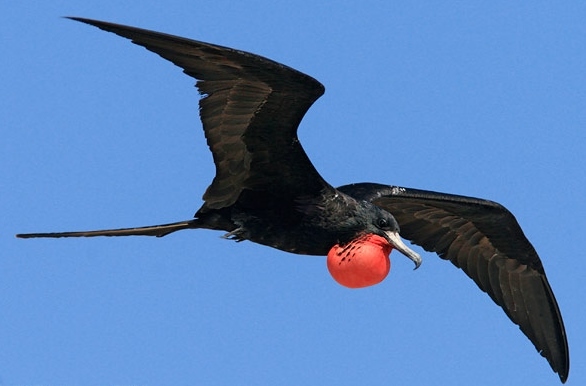 A male magnificent frigatebird photographed by Judd Patterson. More beauty and curiosity, more connection and discovery … magnificent indeed. Very well stated my friend! I too love to watch and wonder at these amazing creatures God has given us! Thank you, Ben, for not only defining the awe and wonder of birds, but also for validating that “why am I so enamored with the beauty of a bird” feeling. 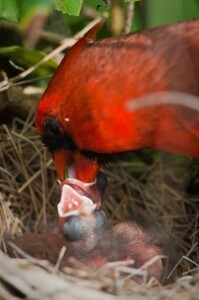 We now know why: Birds make life better! Love the blog..well put. You have influenced my love for our winged friends. Every time I see a different bird, one I am not familiar with, I look at my husband and say take a picture, Ben will know what it is. Thank you for sharing your love for the birds! Mr Ben, beautifully written article! As leaves begin to drop, I get so excited to know that we will have the bird spectacular sight for several months. Winter takes on a whole new meaning when one becomes a birder!